Have you ever thought "I wish my car had air conditioning... but for my phone"? Of course you have. And if you haven't, you should be happy I've just told you about it, because now that you have thought about it, you of course want it. Because this is a very straightforward, obviously-good kind of idea. 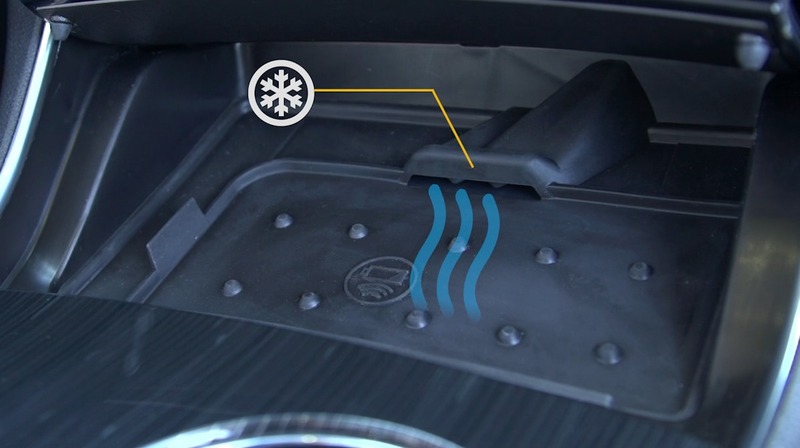 Chevrolet, understanding the overall goodness of this idea, has actually decided to build smartphone air conditioning into upcoming versions of the 2016 Impala, Cruze, Volt, and Malibu. Here's how it works. Basically, the idea is that wireless charging gets your phone quite toasty. 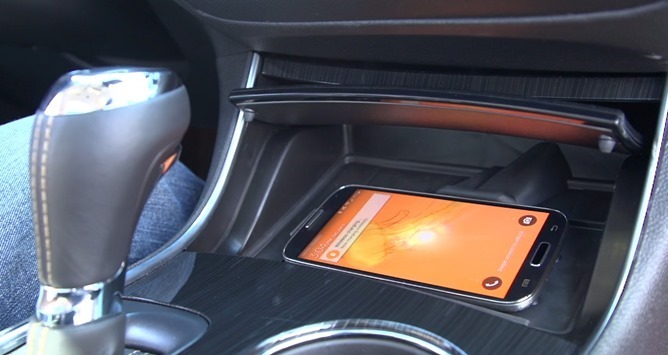 In your car, this problem can actually be compounded - your phone is likely connected to the vehicle via Bluetooth, and maybe streaming music, and this just adds to the already-significant heat generated by wireless charging. So, Chevy's adding in a little A/C piping to the area where the wireless charger sits at the bottom of the center console to keep your phone cool. It will only work while the A/C and fans are turned on in the vehicle, probably just out of concern for cost and engineering simplicity. One thing I noticed in the video is that the area where the phone sits in the tray isn't exactly wide. The Galaxy S5 is practically maxing out in terms of width dimensions in there, so hopefully the big rubber tab on the left of the tray signals that multiple sizes will be provided to owners (or at least be purchasable / available on the aftermarket) in order to accommodate larger devices. As for the actual wireless charging tech, good news: Chevy's 2016 models with wireless charging support both PMA and Qi, something we confirmed with Chevrolet directly. As for the specific models this will be available on, you'll have to wait until Chevy finalizes trims and options on these cars, none of which are on sale just yet. It's probably safe to say this won't feature as standard on basic trim levels, but probably will be available as an option on some and likely standard on top-level configurations.